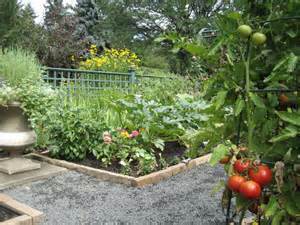 Sense of confidence that you can garden and grow you own food. Greater independence from the food production and distribution chain. 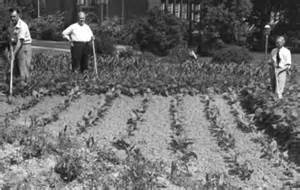 Reduce dependence on government assistance should the food supply ever adversely impacted. In short, you become more self-reliant. 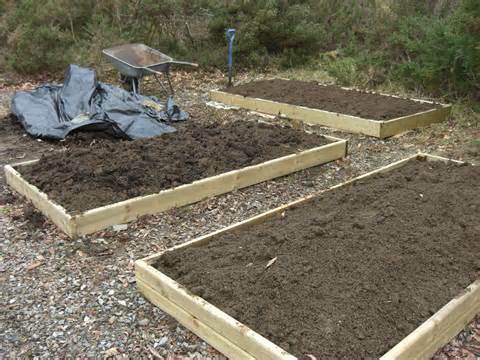 I have four raised garden beds in my yard for a total of 152 square feet. Yup, that’s .003 acres. For the mathematically challenged that is three-thousandths of an acre. Hardly enough to feed a mouse for a year, let alone my wife and I. So why garden? Well, honestly I love the taste of fresh tomatoes vs. the crap tomatoes that you buy in the store. And our fresh peas, lettuce, carrots and spinach make a great supplement to the salads fix’ns we buy at the store. At the end of each summer I pick all the remaining tomatoes and make a great salsa that I freeze. We use it throughout the winter making Mexican foods. I raise a couple of potato hills just due to an overwhelming urge that comes from my Irish background. Could I eat for any length of time out of my garden? Unequivocally – no! So why do I garden? I do it to learn, to maintain that skill set and have the knowledge that if things ever got bad I could grow a much larger garden and maybe I could provide food for my family, maybe even my friends. Maybe. It would take a substantial amount of time, effort and money to get to that point but I know I could do it. And if my friends were hungry I am sure I would have enough assistance to make it happen, including security. You might be wondering what about “food storage” that I should have put away for just such an occurrence. Well, you are right, I do have food storage to take care of my family, maybe a friend or two. But how long does it last? How long are you prepared to eat your food storage? Till it’s gone? Then what? Have you even really put a lot of thought into it? A few years back I started purchasing heirloom seeds and placing them in storage. I didn’t buy the commercial packs in a store. I purchased “kits” that have been specifically produced and packaged for long-term storage. I did some rough calculations on space requirements, nutrition requirements, etc. to get a basic supply stored away for potential use. What I did notice that there is a “use by” date on the seed kits, usually 5 – 8 years from purchase. I have no idea if it is accurate or similar to antibiotic dates where the antibiotic is still usable just a little less potent. To hedge by bet on this I decided to buy a couple of kits and stagger their purchase to overlap the “use by” dates ensuring that I will have a enough seeds to use even if some don’t germinate. It is interesting to me the number of “preppers” that I talk to that have a decent food supply put up along with many other gear and equipment. However, they haven’t thought through food production, only food storage. And the food production aspect is relatively inexpensive compared to food storage. I have found different seed kits for $45 – $75 per kit. Each kits lists each kind of seed, how many and project the number of people that the resulting garden can feed. 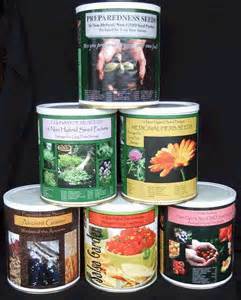 Most of you know me by now that I always have back-ups to my back-ups, seed kits are no exception. I have purchased a kit from different suppliers to make sure no one supplier is a dud. And that is important since the seeds are sealed in individual Mylar bags and then sealed in a #10 can with oxygen absorbers. So you really don’t have an opportunity to test the seeds germinating ability. So yes, I’ve geared this article is geared more towards the extended grid-down scenario than the short-term emergencies that most people are adequately prepared for. But that is just who I am; I want to be, and want you to be, prepared for whatever realistically comes our way that could jeopardize the safety of our families. As a final note, please don’t expect to save money or think raising your own vegetables are going to help out your budget. 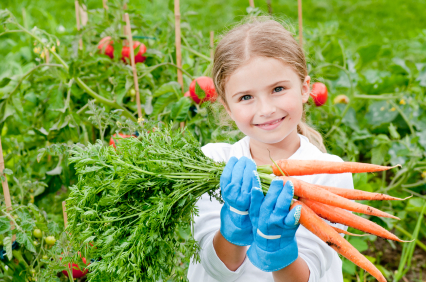 It will take some investment to grow your own food so don’t get frustrated. It’s like reloading ammo, you don’t save money reloading, you just get to shoot more. And that my friend is worth it. So is gardening.